Update 0.7.9 introduces a new British arc. What does it have in store for you? Different port, Royal Navy game event, return of Operation Dynamo, new game mode, and much more! 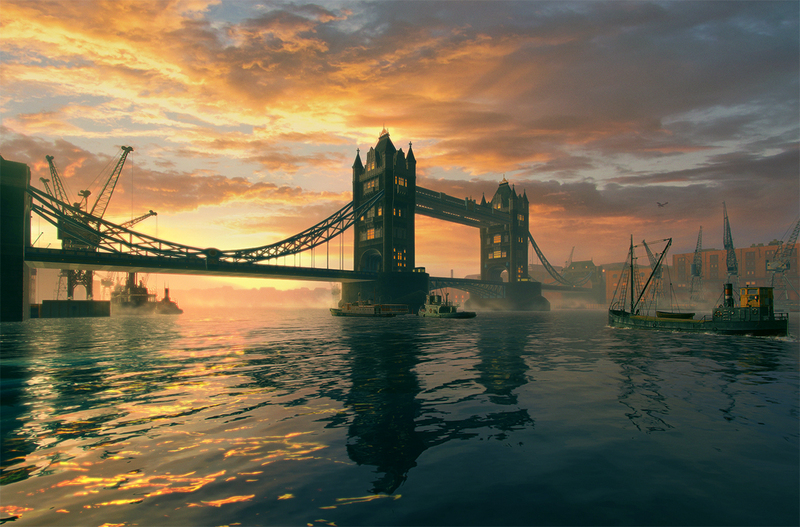 To celebrate the release of the British destroyers, the in-game Port of London has been upgraded. It is no longer covered in snow and nocturnal twilight—the new London is warmed by autumn warmth and daylight. Having changed the light settings and some of the effects, we tried to recreate the atmosphere of the old foggy city, filled with posters calling to protect Great Britain. The changes have also affected the barge with containers, with the sailors now wearing the uniform of the British Navy of World War I era. We invite you to enjoy the views of the British capital and dive into the atmosphere of the British arc. 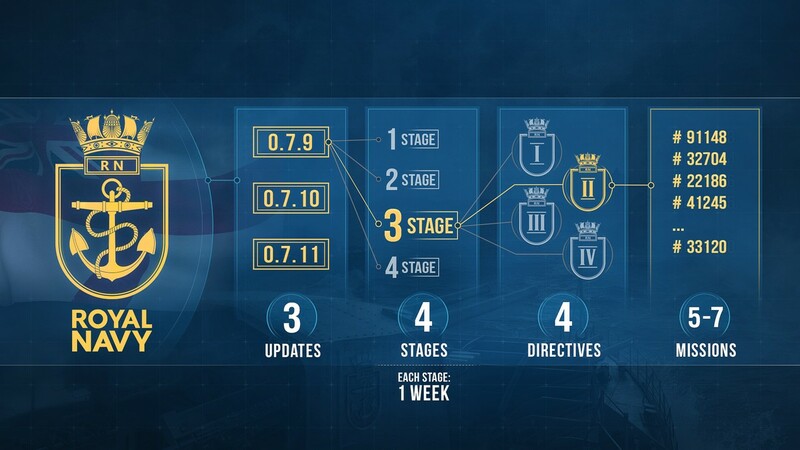 Each of the three versions covering the entire Royal Navy event consists of four Stages, each lasting one week. Every Stage contains four Directives, while each Directive has 5 to 7 missions. 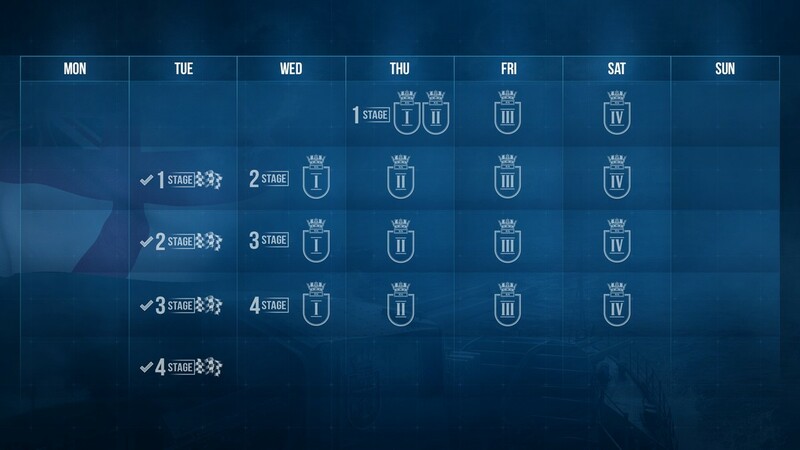 The missions will be simple and will be unlocked daily from Wednesday until Saturday each week. The only exception is the first Stage, which has two initial Directives set to be opened at once on the first day, Thursday. Complete the missions, claim your reward for a Directive, and proceed to the next one as soon as it is opened on the designated day. To take part in the Royal Navy event you need to have reached at least Level 12 in your Service Record and use Tier V ships and above. Missions can be completed in Random, Co-op, and Ranked Battles, or in a new mode (currently undergoing trials) entitled Arms Race. During the third week, one of the missions can be completed in Operation Dynamo, and later on, in Clan Battles too. All missions can be completed simultaneously, with the next Directive being unlocked after the completion of between 3 to 5 missions, but not before the day of its opening. All missions are available simultaneously, so you don’t have to choose between any of them. Go into battle and complete the various missions on the best-suited ships! Having completed all of the Directives in a Stage, you will enter the Hall of Fame, where you will be able to compete for the title. Rewards are granted to everyone who has earned at least one point according to the special rules of the event. The amount of the reward will increase as you improve your results and rise up the leaderboard. The top 100 players will receive a special achievement “Amongst the Heroes” as a reward. You can earn points in the Hall of Fame in Co-op, Random, Ranked, Scenario, and Special Battles. The Arsenal gets a new temporary category called Royal Navy and two temporary currencies—SovereignsandGuineas. Sovereigns can be exchanged for a new expendable Royal Navy camouflage, battle signals, Commander Bert Dunkirk, Premium ships Warspite and Gallant, permanent camouflage for Gallant, and a standard Royal Navy container. If you already have Warspite and Gallant in your Port, by purchasing them again, you will receive doubloons as compensation. You cannot recruit Commander Bert Dunkirk again, though. Please note that this section in the Arsenal and the opportunity to exchange Sovereigns will be available until Update 0.7.11 is released. Because of this, you can take your time choosing and purchasing in-game items with their help. With the release of Update 0.7.11, Sovereigns will be removed from the game, and each Sovereign you held will be exchanged for credits. Another new goodie in the Arsenal is Tier VIII Premium destroyer Cossack, at the price of 50 Guineas. Over the course of the three versions, you can get a significant discount for the ship: taking part in the Royal Navy event can earn you up to 48 Guineas. After that, you will be able to obtain the Tier VIII destroyer with only a few additional Guineas from the Premium Shop. If you already have the ship in your Port and re-purchase her, you will receive 9,600 doubloons as compensation. Guineas will be available for collecting in the game client until Update 0.7.12 is over, after which they will be exchanged for credits. We remind you that with the release of Update 0.7.9, the Anniversary category will be removed from the game, with all Anniversary tokens turning into credits at a rate of 1 to 15,000. One of the nice features in the upcoming Update is an opportunity to try out the British destroyers one month earlier than everyone else. 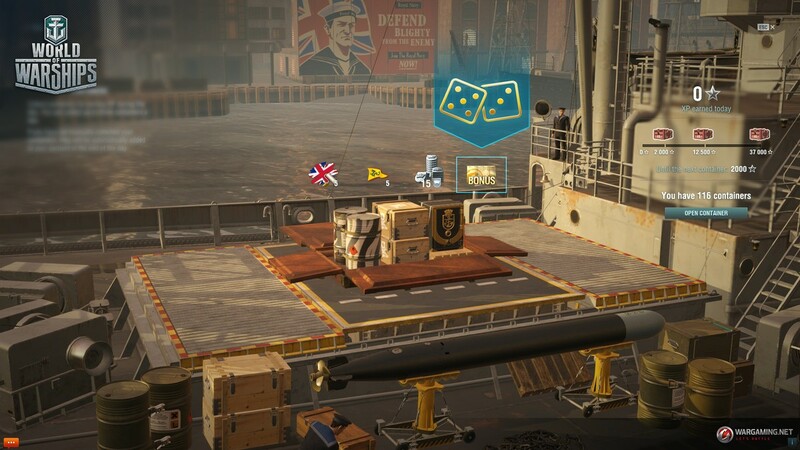 In Royal Navy containers, in addition to the usual contents, you can find a combat mission that has a chance of bringing you one of the ships: V Acasta, VI Icarus, VII Jervis, or VIII Lightning. What features make these ships stand out and how do they differ from other ships of their type? These destroyers have inherited the possibility of launching torpedoes one by one from the designs of UK cruisers, as well as the wide radius of their smoke screens. The ability to launch torpedoes individually gives you a strong advantage in battle, enabling you to fire each torpedo in a specific direction, thus increasing the chances that all of them will hit their target, rather than disperse widely. The wide radius of the smoke screen also gives you more room to maneuver in the covered area, whilst the Hydroacoustic Search consumable enables you to detect enemy torpedoes in sufficient time to evade them. The possibility of evasion becomes even greater thanks to the destroyers’ improved acceleration parameters, similar to those of British cruisers. Smoke screens set by British ships clear rather quickly, causing them to relocate from one point to another more frequently. But due to the large number of charges and fast reload time, the next charges become available quite quickly in case they are obliged to leave the cover of their smoke screens. Acasta and Icarus, Tier V and VI destroyers, are ships that focus on torpedo armament for their primary game tactics. The number of torpedoes in the salvo, and the possibility to launch them individually compensates for their relatively short range. Another strength is the main battery, which carries a good chance of setting an enemy ship on fire. This is best manifested in Jervis and Lightning, Tier VII and VIII destroyers. Here, the right combination of the main battery and torpedo armament is what poses the strongest threat to the enemy. The tasks for destroyers will be very simple. For Tier V, you will have to earn 10,000 base XP in Random, Ranked, Co-op Battles, and Operations. For Tier VI—12,000; for Tier VII—14,000; and to obtain Tier VIII, earn 16,000 XP. The destroyers will arrive at your Port immediately after completing the mission, together with a Commander with 3 skill points, Port slot, and fully researched and purchased modules. If the mission that brings you the destroyer is completed at a time when version 0.7.10 has already been released and you have this ship in your Port, you will receive compensation in credits to the amount of the normal cost of the ship, with consideration of the active discounts. Each account can get each combat mission only once. Get your Tier IX and X ready for battle in the new Arms Race test mode, which has its own unique mechanics. To take part in the Arms Race, change the battle type and select a Tier IX or X ship. The main distinctive feature of the mode is the appearance of special areas with associated timers on the map. After the timer expires, the ship that entered the area receives some bonuses. They remain active until the end of the battle and can be any of three types: reduction of detectability, restoration of the ship’s HP, and boosting of the main battery or torpedo tube reload speed. Your allies within a range of 12 km from the activated area will receive the same bonuses. But you’d better activate the bonus yourself, because the ship activating the zone gets double the bonus of the others. The more areas you activate, the higher the efficiency of your bonuses. The game ends when all the ships of one team are destroyed, or when one of the teams reaches 1,000 or 0 points. The historical Operation Dynamo is back in the game. Based on the 1940 operation of the same name, it is set at the moment when British and French soldiers were rescued from the city of Dunkirk, whilst surrounded by German troops. The mission consists of escorting the Allied transport vessels to safe harbor in Dover, via the Strait of Dover; passing thick minefields whilst fending off the attacks of enemy aircraft and torpedo boats. To complete the operation, you can use British, French, Polish, Soviet, Commonwealth, and American Tier VI and VII destroyers or British Tier VIII Premium destroyer Cossack. The mechanics of the mines have been changed: as the ship enters the minefields, she receives direct damage as time passes. Also, mines can now cause flooding. If the ship is forced to enter the minefields, when, for example, escaping from the enemy or carrying out the evacuation, she will be able to avoid such damage by dropping her speed to 1/4. The North and Islands of Ice maps will face major changes in Update 0.7.9. Please note that the Northern Lights map has not been changed. The Islands of Ice map has been reduced to a size of 42×42 kilometers, which will prevent situations where ships fighting on the flanks cannot join their allies quickly. Substituting large islands with smaller ones allows changing flank rapidly and you will have more opportunities to deliver fire in different directions. The map has been rotated 90 degrees, and now the spawn positions are in the lower and upper parts of the map. Coal Port: provides a bonus to Coal received (3 Expansions are available, with each providing an additional bonus; if all Expansions are built, the structure gives +10% to Coal received). Steel Port: provides a bonus to Steel received (3 Expansions are available; if all Expansions are built, the structure gives +10% to Steel received). Design Bureau: provides a bonus for Free XP (6 Expansions are available; if all Expansions are built, the structure gives +25% to Free XP for ships of all tiers). Academy: provides a bonus for Commanders XP (5 Expansions are available; if all Expansions are built, the structure gives +10% to Commander XP). Dock: renamed to Dry Dock (now with 6 Expansions available; if all Expansions are built, the structure gives a 15% discount the cost of post-battle service for ships of all tiers). Research Center: (now with 6 Expansions available; if all Expansions are built, the structure gives +5% to the XP per battle to ships of all tiers). Headquarters: renamed to Officers’ Club (now with 4 Expansions available; if all Expansions are built, the structure gives +20 to the maximum number of players in the clan and the possibility to select the rating of Clan Battles). Shipyard: renamed to Shipbuilding Yard (now with 6 Expansions available; if all Expansions are built, the structure gives a 15% discount to purchase of researchable ships of all tiers). Bonuses accumulate. For example, a fully built Shipbuilding Yard will give you a 15% off the purchase price of researchable ships of any tier. The functions of the Rostral Column remain unchanged. It serves for demonstration of the clan’s achievements, obtained primarily for participation in Clan Battles. Also, the clan base now has its own soundtrack. You will have to expand all buildings that form part of the new clan base from scratch, and Oil exchanged for previously constructed buildings will be returned to your clan’s account. Headquarters is the only exception. Thus, the maximum capacity of the clans will remain unchanged. The Oil you will receive will be enough to claim the bonuses in the same amount as you would have claimed on the old clan base. Thus, players get an opportunity to choose where they want to spend their Oil on the new clan base. We are continuing to improve the interface in both the Port and battles. In version 0.7.9, we are adding visuals for flooding in battle, as well as an upgraded soundtrack for the occurrence. If the ship is flooded, a special icon is displayed on the ship’s HP bar, with flooding effects appearing at the bottom of the screen. The model of the ship has a light alarm activated, and the effect of water being pumped out is displayed. Additionally, all ships will have steam discharges from their pipes every 7.5 seconds. This does not include diesel ships: Friedrich der Große, Hermelin, Admiral Graf Spee, Z-52, and Bougainville. Changes will also come into effect for the Commander skill tree and signals section. Now, inefficient skills and signals for a selected ship in her current configuration will be marked with a special symbol. For example, the Demolition Expert skill on Tier VII cruiser Fiji will be marked as inefficient, even though the ship has secondary guns with HE shells that could be affected by its application. Now, players can also opt to hide ships that do not fit selected filters in the carousel. In Update 0.7.9, we are advancing ship-spotting technology. The purpose of this change is to remove the time delay between the appearance of the ship icon on the minimap and in the game. This will make the game experience more intuitive, logical, and comfortable for all users. A unique German Navy Commander with enhanced Vigilance and Jack of All Trades skills. Added with 10 skill points and specialization for Hermelin. Unique Soviet Navy Commander with enhanced Preventive Maintenance, Expert Marksman, and High Alert skills. Added with 10 skill points and specialization for Orlan. Unique U.S. Navy Commander with enhanced Expert Loader and Expert Marksman skills. Added with 10 skill points and specialization for Erie. The cost has changed from 5 to 20 Doubloons. This affects the camouflage’s cost in case you sell it in the Inventory section. Now, Supercontainers can bring you new the special signals Basilisk, Scylla, and Leviathan (x25, 50, or 100). 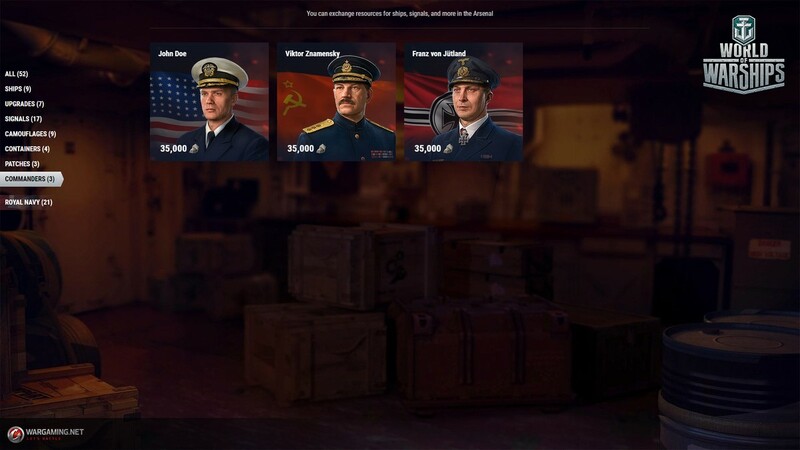 The probability of getting the ships, special signals, and the rest of the contents from Supercontainers has not changed. Containers for community contributors now include ships Asashio and Massachusetts, 15,000 and 50,000 Coal, as well as the new economic signals Basilisk, Scylla, and Leviathan (x50). Due to the termination of the contract with the copyright holder, the High School Fleet camouflage for Musashi and Harekaze is to be removed from the game. This, however, does not affect items that are currently on the players’ accounts. In addition, if the account has an incomplete HSF collection, it still can be completed, which will get you a camouflage for battleship Yamato. In the game client, the following ships are now available for purchase using Doubloons: Duke of York, Arizona, Katori, Asashio, Oktyabrskaya Revolutsiya, De Grasse, Duca d’Aosta, Huanghe. The following ships will be unavailable for purchase using Doubloons in the game client: Hood, Atlanta, Yubari, Atago, Murmansk, Duca degli Abruzzi, Anshan. Main Battery Firing Range: +20%. Action time of the consumable: 100 seconds. Reload time: 360 seconds for Spotting Aircraft I and 240 seconds for Spotting Aircraft II. Battleships König, Wyoming, New York, and Texas will have 2 charges of the Spotting Aircraft I consumable and 3 charges of the Spotting Aircraft II consumable. 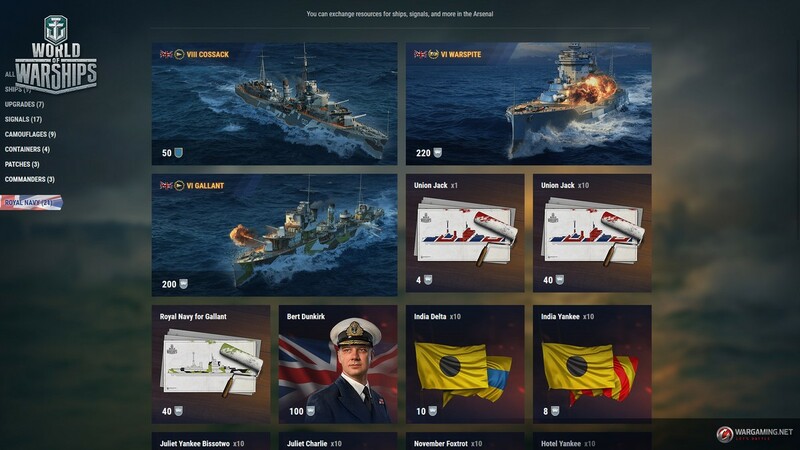 Battleships Iron Duke and Bayern will have 3 charges of the Spotting Aircraft I consumable and 4 charges of the Spotting Aircraft II consumable. For Tier VII Commonwealth destroyer Haida, the characteristics of the Hydroacoustic Search consumable have changed: ship acquisition range has increased from 3.12 to 3.5 km, torpedo acquisition range has increased from 2.13 to 2.5 km. This change enables the destroyer to spot torpedoes more efficiently and will match the characteristics of the consumable with that of other ships. Tier V Japanese destroyer Mutsuki, Tier VIII Japanese destroyer Kagero, Tier VI Japanese destroyer Hatsuharu, Tier I American cruiser Erie: 20% increase in the protection of steering gear against damage from HE shells. For Tier II American destroyer Sampson and Tier III American destroyer Wickes, normal and enhanced torpedo range has been increased from 4.5 to 5 km. This change will balance similar indicators of the ships in this branch. Tier III American cruiser St. Louis: Sigma for all guns has been reduced from 2 to 1.8. The rate of fire of researchable guns has been reduced from 8 to 9 seconds. The combination of impressive HP, accuracy, and the number of 152 mm guns used to make the cruiser one of the most efficient ships at her tier. The changes have made the battle performance of St. Louis more in line with that of other ships at her tier. Tier II German cruiser Dresden: gun reload time has increased from 4 to 5 seconds. The ship has rather high average damage indicators. The changes balance the cruiser’s efficiency with that of other ships of her tier. Tier VII German cruiser Yorck: HE and AP shells’ 10 km flight time has been reduced from 5.65 and 6.72 seconds to 5.09 and 5.14 seconds accordingly. Damage caused by AP shells has been increased from 5,500 to 5,600. These changes pull the cruiser’s ballistics in line with its branch, emphasizing the effectiveness of AP shells specific for German ships. Tier VII American destroyer Mahan: changed the ship’s standard detectability range from 7.92 to 7.64 km. Decreased the ship’s visibility when firing from the smoke screen from 2.98 to 2.86. These changes are applicable for all hulls and aim at increasing the ship’s battle performance in brawls, where she is especially good. Her detectability radius previously prevented the destroyer from playing her part in battle and match other ships of her branch. Minor improvements in the geometry and textures of the following ships: Dallas, New Orleans, Pensacola, Haida, Minsk, La Galissonnière, Algérie, Charles Martel, Okhotnik, Alsace, De Grasse. We improved the display of fine elements on Kitakaze. We adjusted the display for camouflage on Ryujo. AA defense mounts have been added on Yamato’s main turrets. We corrected an error in the name of the permanent camouflage for battleship Scharnhorst, now it’s called Z-15. Fixed a bug where a wrong container was displayed in the final task of the first mission of the “Hit Hard! Hit Fast! Hit Often!” campaign. We corrected the audio for shots on cruiser Chengan. Fixed a bug where the maximum speed display could not exceed 49 knots. Fixed a bug in the soundtrack when the sounds of flying projectiles were heard as the camera was rotating around the ship, while no projectiles were anywhere near it. Fixed a bug where a user could not set the slider on the Increase UI scale to the maximum value. 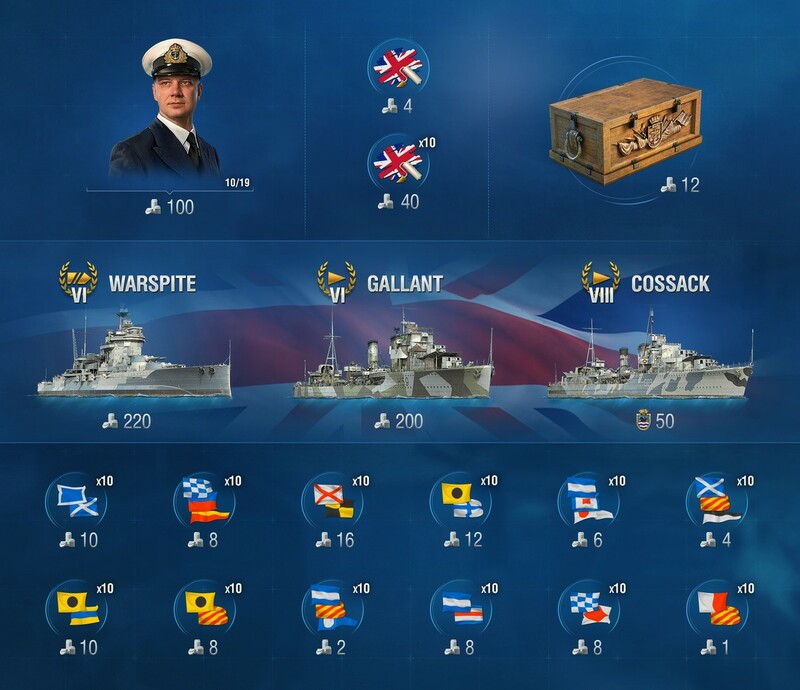 We fixed an incorrect display of the “Season of Ranked Battles at Tier X” element in the “3 Years of World of Warships” collection. We corrected the description of the Jolly Roger commemorative flag for Season 10 of Ranked Battles to “Commemorative flag granted for achieving Rank 1 in the Tenth Season”.